Beverly's Official Blog | News and findings from world of crafts, scrapbooking and more: Me & My Peeps™ Iron-ons now at Beverlys! 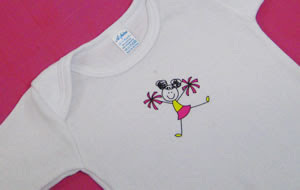 Looking for Cheerleader Girl iron on by Me & My Peeps. From Kansas City Missouri, Need about 30 for a Mom's group pillow case project for our cheer girls.